Home Entertainment Police Officer Kirumira Muhammad Buys Rolex To Prove Innocence. Police Officer Kirumira Muhammad Buys Rolex To Prove Innocence. Following the incident where Afanda Muhammed Kirumira aka Mwoyo Gwa Gwanga was charged with eating someone’s rolex, the lad has today evening bought a rolex to prove he can afford one. 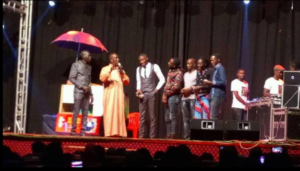 Kirumira was at the “One Musoga, One Chapati” show hosted by Comedian Daniel Kalela today on 16th Friday at theatre Labonita. Kirumira also advised the revelers to enjoy life to the fullest for they leave once. he could not wait to brag how hard he is to get. 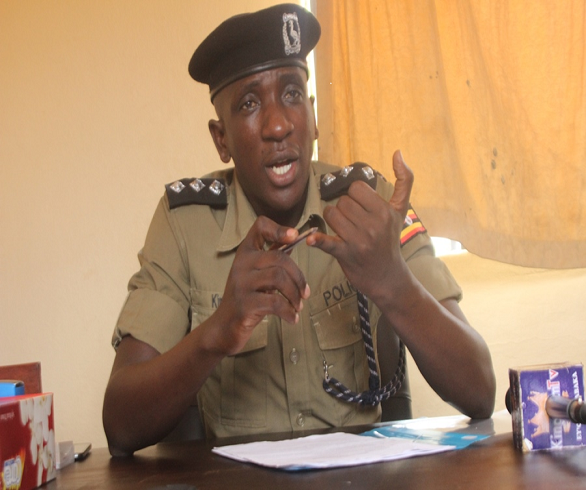 Kirumira also hinted about the remembrance of his role model Afande Felix Kaweesi slated for today. About the event, Kalela could not believe what he saw in regards to the turn up! Several comedians attended including Mc Mariachi, Pablo, Omara and all Comedy Files house comedians. Previous articleMy Record on Crime Reduction is Undisputed. – Gen Kale Kayihura Commends Self On Handover Ceremony.